Happy Monday everyone! 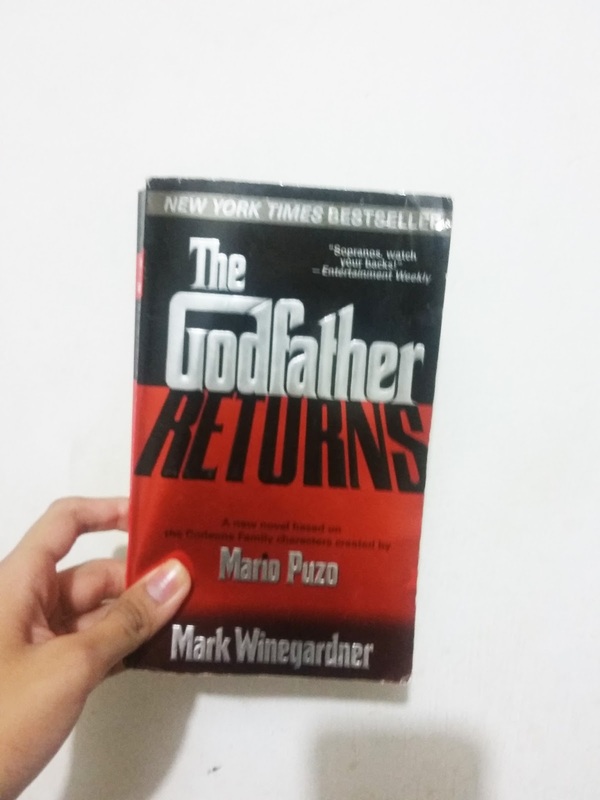 Today I'd like to share a quick post of the book I am currently reading --- The Godfather Returns by Mark Winegardner mentioned on my June Reading List. 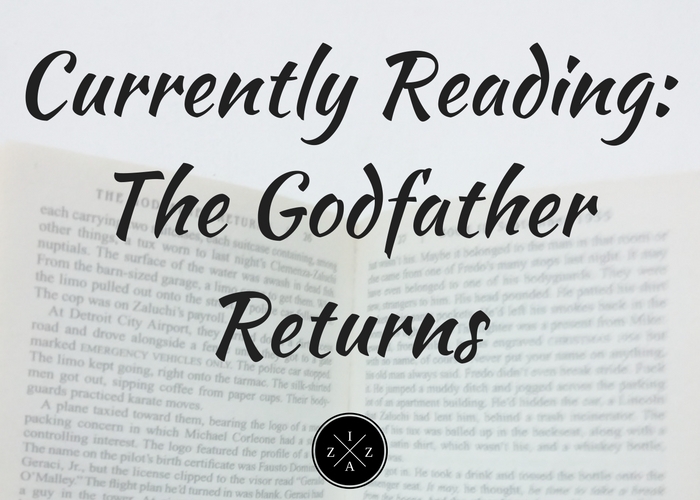 I believe I've mentioned a couple of times how the original The Godfather book changed my reading life. It was Mario Puzo's masterpiece that led me to collect almost every other book he had written. I saw in Powerbooks Greenbelt that The Godfather Returns which is a novel based on the Corleone Family characters created by Mario Puzo is already available. Checked the price and its only 350pesos I believe. I knew I have to get it because I was so starstruck with the original book but I did not. Then one Friday night after work I saw the book in Book Sale SM Bicutan available for just 125pesos. Imagine how happy I was back then. Got the book that I want for half the price. 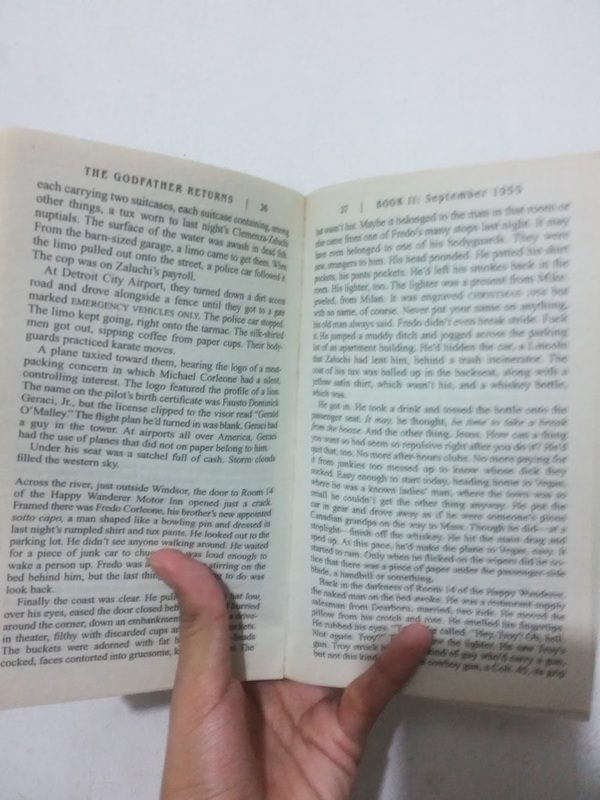 I have to read The Godfather by Mario Puzo before this to refresh my mind with the story. Sadly it took me longer to finish the original book so I have to postpone reading this. Now everything is good and I have a lot of free time to start digging this treasure. The book is 538 pages long and I am still on my first 25 pages to be honest. So far so good. I was afraid that Mark Winegardner won't do justice to the original piece but his style resembles Puzo. I hope I get to finish this book on time. At the moment I am very much satisfied with how the sequel goes. Are you reading anything special today? 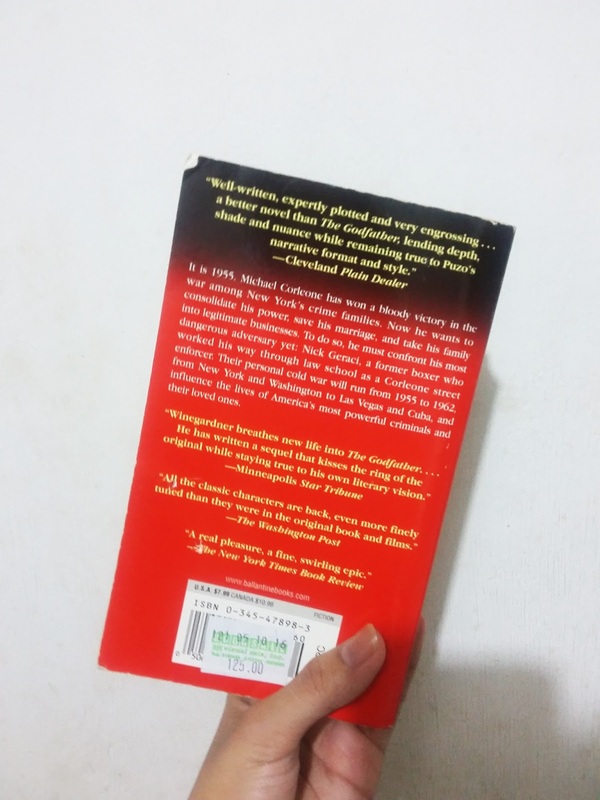 Share the title of the book you are currently reading on the comment section.